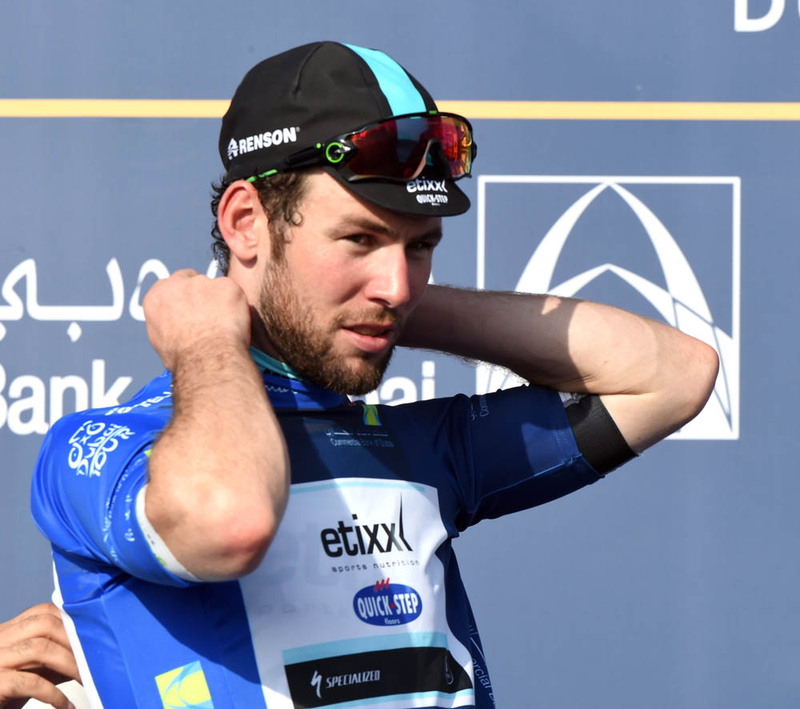 Mark Cavendish (Etixx-QuickStep) won the opening stage of the 2015 Dubai Tour on Wednesday in a photo finish with Astana’s Andrea Guardini. Cavendish’s Etixx-QuickStep squad had controlled the stage throughout its 145 kilometres, with the British sprinter finishing things off after a long effort to the line. Elia Viviani (Sky) placed third. It’s Cavendish’s second victory of the year after he won a stage of the Tour de San Luis in Argentina in January. 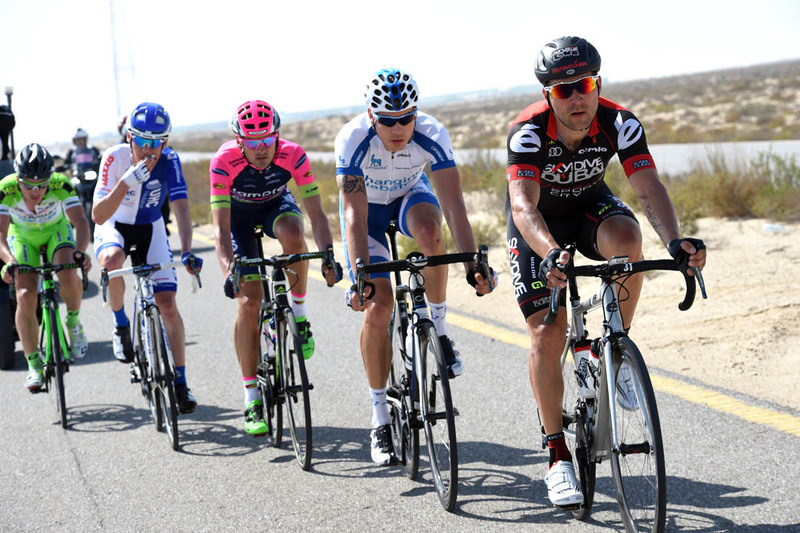 Cavendish will wear the Dubai Tour race leader’s jersey going into Thursday’s stage two. The day’s escape group consisted of Rafael Valls (Lampre-Merida), Enrico Battaglin (Bardiani-CSF), Alessandro Bazzana (UnitedHealthcare), Nicolas Lefrancois (Novo Nordisk) and Vladimir Gusev (Skydive Dubai). The five riders were never given more than a minute and a half’s grace, with Etixx-QuickStep and Giant-Alpecin leading the peloton for sprinters Cavendish and Luka Mezgec. The break was caught with 20km to go. Shortly after the catch was made, an intermediate sprint at the 16km-to-go mark livened up the proceedings, with Ben Swift (Sky) crossing the line ahead of Manuele Boaro (Tinkoff-Saxo) to grab the points and bonus seconds on offer to end the day in fourth spot overall and in the intermediate sprint jersey.